Raise a Green Dog! : GMO apples and potatoes coming to a store near you! GMO apples and potatoes coming to a store near you! If you like apples as much as I do, you will want to know this! Very recently, the United States Department of Agriculture (USDA) approved the commercial planting of genetically engineered apples that are resistant to turning brown when sliced or bruised. This is the first GMO apple to be approved. The apple will join several other genetically modified fruits and vegetables already approved including papaya, corn, potatoes and soy beans. The so-called 'Arctic' apples, available in only the Granny Smith and Golden Delicious varieties at this time, are genetically engineered in a way to suppress the production of an enzyme that causes browning when cells in the apple are injured, from slicing, for example. 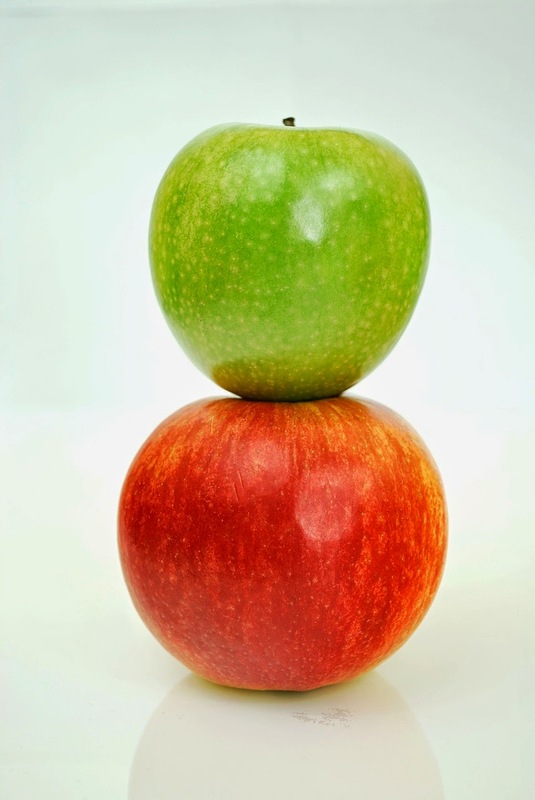 The apples are genetically altered by manipulating the apple's own genes rather than adding genes from another species into the apple's DNA, which is how most GMO crops are altered. Under the law, approval for GMO fruits, vegetables and even meats is based on whether a genetically modified crop (or animal) poses a threat to another plant or animal. The USDA determined that the apples posed no such risk, which is why it was approved. Within the approval process there is no basis for consideration of whether the genetic alteration of the plant or animal poses a health risk to humans or other animals. In Europe and the US there are some studies that have been done that have shown health risks, including infertility, changes/damage to organs in tested animals and more. I'm not a potato eater, but another significant event you should know about...in November 2014, the USDA approved a genetically engineered potato developed by the J.R. Simplot Company that uses a similar technique that alters the potato’s DNA to create less of a chemical called acrylamide, which is suspected of causing cancer in people. This chemical is produced when the potato is fried or baked at high temperatures. 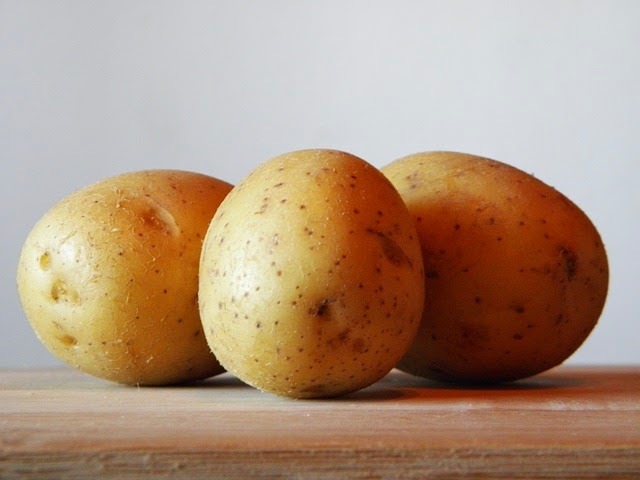 The potato is also modified to aid the potato in resisting bruising which creates waste in the food industry. It will take a few years for 'Arctic' apples to be widely available because trees have to first be planted and then become mature enough to produce fruit. By 2016 approximately 5-10,000 lbs of apples are expected to be ready to provide samples to potential buyers with the product expected in the stores in small quantities in 2017. Right now there are no plans to label the apples as altered, although they will be called 'Arctic' apples. Currently, three US states require GMO labeling. Connecticut and Maine have both passed such laws, but they contain provisions that state the labeling can't be implemented unless several other states approve similar labeling laws. Vermont, however, has passed a labeling law that will go into affect in November 2016. As we've discussed before, many pet food manufacturers source their meats from a wide variety of farms across the country, with many of them sourcing from factory farms. The main feed for cows and chickens in non-organic factory farms is corn and soy. In the US, 90% of the corn and soy grown is genetically modified..
What this means is that through the food chain, unless your dog is eating an organic source of kibble or raw meat, they are effected by GMO's in their food, which is passed on through the meat source, i.e., cow, chicken, pork and other highly utilized meat source. Read more about the potential health risks of GMO's. 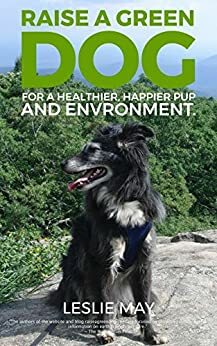 Stick with organic, or a food for your dog that contains meats, fruits and vegetables that aren't sourced from factory farms that feed the meat sources with GMO corn and soy. 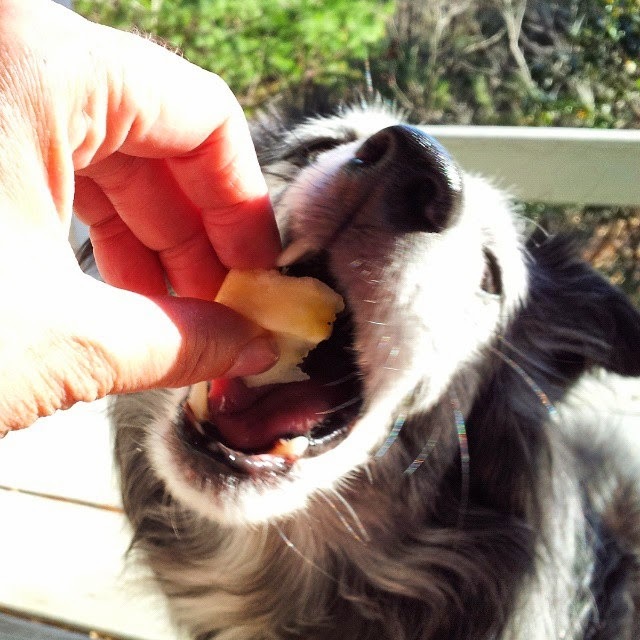 And, we always recommend if you feed snacks like apples to your dog, go organic to avoid GMO's, pesticides, insecticides and more. Labeling is a must whethere any food like apple comes from GMO or non-GMO. Besides, there are some studies that have been done that have shown health risks, including infertility, changes/damage to organs in tested animals and more in Europe and the US. Extensive research is needed for GMO. all GMO should be well labelled and any health risks included as well.